On the lookout for uPVC window fitters in Northamptonshire? Our replacement doors and windows installers in Northamptonshire are able to offer you the best quotations to have A rating upvc double glazing fitted in your house. Fitting double glazed house windows in your home will take less than one day, creating minimal hassle and disruption. Expert double glazing suppliers in Northamptonshire will measure your windows and fit in the glazing, quickly saving you money on energy payments. Double glazing is created to save by retaining heat in your house. Remember that you'll make excellent energy bill and carbon emission savings with A rated double glazing in Northamptonshire. We'll provide you with no obligation quotes from businesses in Northamptonshire who will be ready to supply you free surveys to work out the price of new double glazing and help you start making savings today. You may then contrast these quotations and figure out the best upvc double glazing costs. The County of Northamptonshire features a population of 692,000, which makes it the 33rd ranked region in the UK. Northamptonshire borders 8 other counties, possessing the county town of Northampton as well as other important towns which include Kettering, Corby, Rushden and Daventry. The county carries a fairly small population density of only 750 people per square mile. For the household enhancements you're taking into consideration within the East Midlands county of Northamptonshire, ensure to work with trustworthy experts in your local area. Double glazing is a brilliant purchase if you wish to lessen bills and keep your own home warmer all year long. New windows are rated from G, the very least efficient, to A, the most efficient. The more efficient your house windows the more you'll save. Receive the best upvc double glazing businesses in Northamptonshire by using Quotatis to compare quotes. 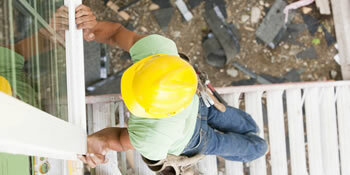 You can be sure of getting a reliable and trustworthy firm to finish the work. Project : Quote to replace Windows kitchen, 2 bedrooms and lounge. provided exactly what I wanted - details of appropriate suppliers who responded immediately. Provided a list of companies after phone contact. We recorded 18,550 requests for home improvement quotes in Northamptonshire. Of these price requests the number of new double glazing quotations (type: A graded new double glazing, brand new home windows, replacement windows and so forth..) was 160. Quotatis were ready to fit these customers with as many as 4 suitable contractors who were available for work in Northamptonshire at that time. Request a free home survey from reputable companies in Northamptonshire. There are many types of property around the United Kingdom for those who have varying family sizes and annual salaries. The most popular housing is commonly terraced properties and semi-detached properties, mainly due to the fact they're cheaper and easier to fit into areas such as cities where space is restricted. Other sorts of property in Britain include detached households and small scale houses such as bungalows and flats. It's essential to add value to your household and enhancements are the best way to do this, whether or not it's with the installing of a conservatory or just cosmetic changes. No matter what the work you would like completed on your home, review quotes from trustworthy companies making use of our simple and fast service. Most properties around the United Kingdom will have central heating of some sort, no matter whether it's gas, oil or perhaps a biomass fuel. If you don't have central heating, you most likely employ heaters to help keep warm, run by electrical power. Changing to main heating will likely be far more efficient for your home and you could save hundreds of pounds yearly. View below just how many homes are central heated within Northamptonshire.